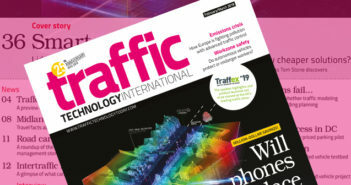 As part of its program to raise awareness of new and emerging technologies, the Institute of Transportation Engineers (ITE) has established a Mobility as a Service (MaaS) initiative to complement the existing Institute Initiatives on ‘Vision Zero’, ‘Smart Communities’, ‘Connected and Automated Vehicles’, and ‘Transportation and Health’. Following a presentation and discussion of emerging issues led by ITE coordinating council chair, Russell Brownlee, and vice chair, Eric Rensel, at its October meeting, the ITE’s International Board of Direction (IBOD) established the new MaaS initiative. 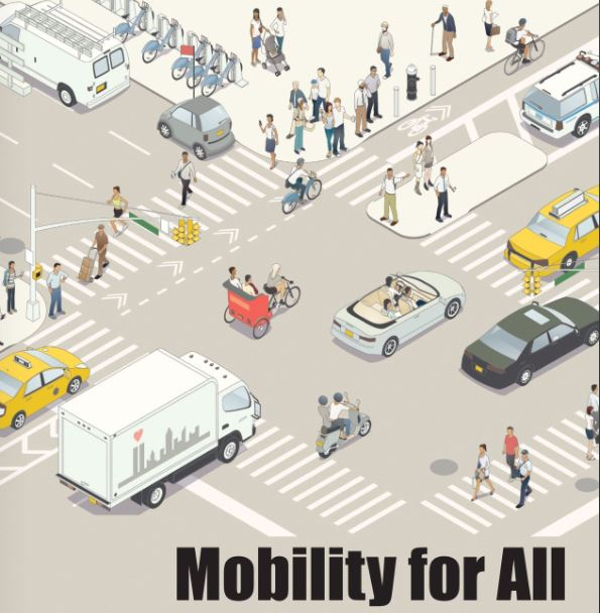 The IBOD hopes that this new MaaS initiative will bring increased attention from the ITE’s technical councils and committees with regard to the opportunities and challenges created by the wide-range of transportation options now available, particularly in metropolitan areas. The proliferation of ride-hailing, bike sharing and, most recently, electric scooters have expanded the availability of transportation choices and are addressing some of the first- and last-mile issues with traditional transit. They have the potential to impact housing and car ownership decisions and can provide new travel options for the young, the old and the disabled. These new mobility options are also creating new challenges for cities. Demand for curbspace has increased, safety concerns with regard to pick-ups and drop-offs are growing along with scooter injuries, and sidewalk congestion and accessibility concerns are on the rise as demands for bike and scooter storage increase. Early studies of ride-hailing services have suggested that they may increase congestion. As a community of transportation professionals, the IBOD felt it was critical for the ITE to increase its efforts to enhance the awareness and knowledge of its members on MaaS issues and to begin to develop new products and solutions. Planning for, designing and operating the transportation network to integrate MaaS services and maximize its benefits will be essential. Incoming ITE president, Bruce Belmore, will be establishing a new MaaS Steering Committee with representation from a diverse set of industry representatives to identify an action agenda for the new Institute Initiative and is calling on individuals or organizations to be part of this effort. An early ITE product in the urban mobility space was the recently released, ‘Curbside Management Practitioners’ Guide’, developed by the Complete Streets Council, which provides guidance on emerging practices for curbspace allocation policy and implementation, based primarily on the outcomes of tested strategies. The guide provides a framework and toolbox for analyzing and optimizing curbspace in this time of change. With the increasing concern for balancing the needs for all roadway users, and the growth of transportation network companies such as Uber and Lyft, as well as online shopping and associated deliveries, demand for curbside pick-ups, drop-offs and dwell times is growing dramatically. 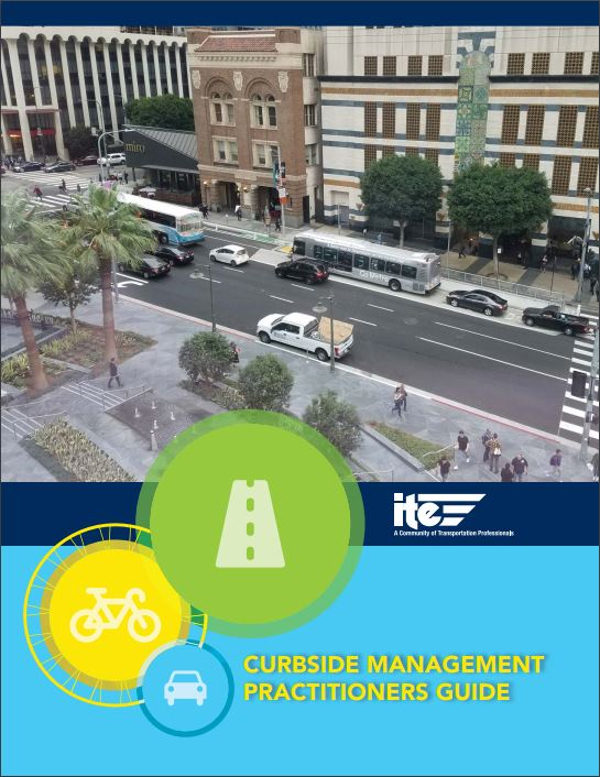 Launched to assist the ITE’s global membership of transportation engineers and planners, consultants, educators, technologists and researchers, the Curbside Management Practitioners’ Guide seeks to inventory, optimize, allocate and manage curbspaces to maximize mobility and access for the wide variety of curb demands. 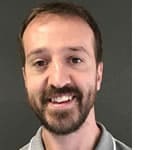 James joined the Traffic Technology International team in 2017. Previously he was Assistant Editor on an engineering title for several years and has worked for various other trade magazines before that. James is happily married and has a young daughter who keeps him busy.